The one we did in July at Red Hill Range in GA has been the closest to you so far. But if you can line up a venue and get on the test schedule for 2019, the test could come to you. Red Hill's an 8 hour drive from me; definitely doable. Basically, just a safe place to shoot. Can be a bay at your local gun club that you can get exclusive use of for a day. Or on private property that has an adequate backstop and is outside of city limits, or not subject to any firearms discharge ordinances. Other things like adequate parking and a port-a-john or other restroom facilities need consideration. That's awesome! I'd love to see some video of that thing. I agree the can needs something to blend in better with the gun though. I keep telling them, they need to make a case-hardened suppressor. Dave, I need to know if the removable sleeve and end plate are considered serialized parts and, if not, the price for a no-finish replacement set that I could send off for color case hardening! 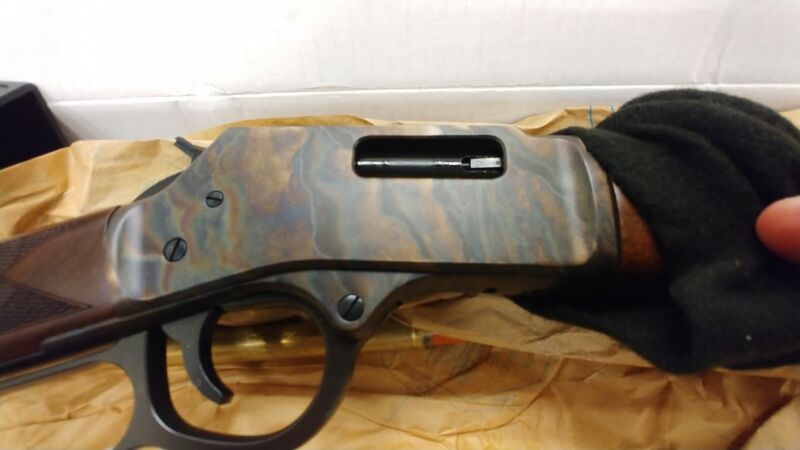 Color case hardened would look sick. Dave, how do you feel about my posting a photo of the core here in your subforum? It is cool, photos or anything else you want to do, have at it. It is yours. That's a bummer. I don't think you can color case harden aluminum. 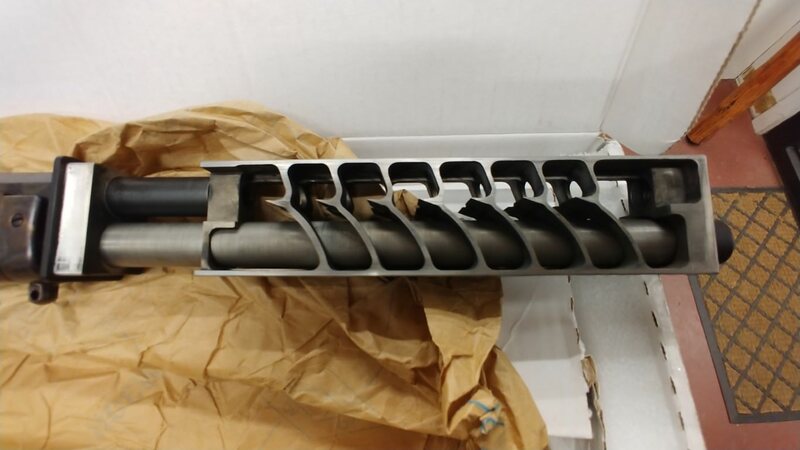 Perhaps there is an anodizing technique that mimics the appearance of CCH. I must research. Hi Ho, Google Awaaaay! This dude seems to be making progress with duplicating the effect. I went to go see her today and drop off all the paperwork. I took a couple photos. The color case hardened receiver is even more gorgeous in person than I'd thought from the photos. I didn't realize this photo wasn't quite in focus when I looked at on my phone. I hate it when that happens. Here's what the core looks like. The SOT who's doing the transfer for me is looking into adding a front sight post to the can sleeve since Dave's crew did such a good job of making the whole thing so rock solid. He's leaning towards TIG welding a small contoured plate to the top of the sleeve at the front and milling a dovetail into the plate. He'll install a fiber optic post in the dovetail. I've got plenty of time to decide what I want him to do. You need to send pics to Henry. Hint that maybe he needs to call Dave. Kudos to Dave and crew for such a cool custom. You better bring this to a 2019 metering event! We need to figure out how to bottle it an distribute it. Enjoy having the only one while it lasts Narsil. I'll take some better photos and send them to Henry. I need to ask them if their picatinny rail occludes the rear sight anyway. I agree; Dave's a standup guy. I figure now the photos are out, some other SOT will manufacture one before my Form 4 clears. Dave, do you have any recommendations for factory ammo to run through this beast when I eventually get to bring it home? I know the heavier grain .38's are usually subsonic (out of a revolver) but what about .357? I shoot mainly 38 special through my 16.5" Marlin with Rev45 for quiet time and 357 supersonic for something more serious. The supers are not as pleasant, but are likely hearing safe. I bet yours will be significantly quieter with supersonic. Probably will be quieter at the ear with subsonic as well since you have no load gate as the over-sized lever gun chambers tend to vent some gas around the under-expanded brass with subsonic loads. Factory 130 grain cheapo 38 special and above have stayed subsonic in my rifle. http://www.ballisticsbytheinch.com/357mag.html Looks like most 357 factory loads will be supersonic. I have considered some commercial 180 grain loads that are right at the edge of supersonic, but have my doubts that they will stay subsonic in the longer barrel. Hand loads are likely your best bet if you want to go subsonic with 357 brass. Last edited by owensww; 11-02-2018 at 11:07 AM. I haven't measured the barrel but Noah at Liberty said the barrel would be 12" plus/minus a 1/2". Thank you for the ballistics link; I'll check 'em out! Dude, you need to link up with JohninNH on here and find out his sweet heavy ball load for the 357. He has some sort of subsonic load that is basically fantastic. IIRC, that was 357 Maximum. Last edited by no4mk1t; 11-05-2018 at 11:53 AM. A lot of the factory ammo for revolvers is unjacketed lead. Is that a bad idea for suppressors or just dirtier than jacketed, with total jacket being cleanest, at least as far as lead fouling goes? Still waiting on my Form 4 to clear.